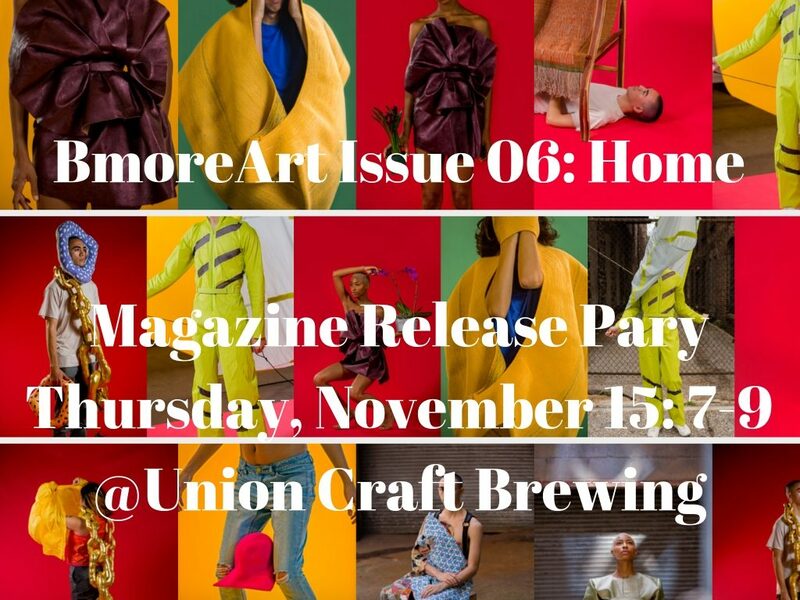 Tickets include a new magazine, Union Craft beer, pizza, tacos, a photo lounge by Homegrown Baltimore and Pixilated, DJ Trillnatured, and SKEE BALL ! 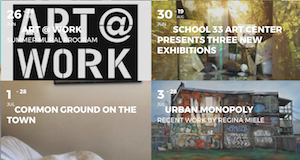 Piece Work is a group exhibition featuring five artists who assemble significant paintings, sculptures and installations from an accumulation of smaller parts. 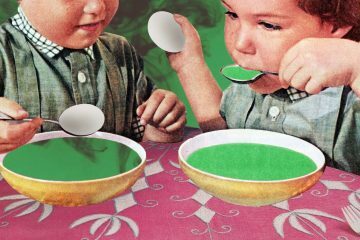 Within each artist’s practice exists an implicit egalitarian ethos. Individual process successes – stitching, color choices, casting, happy accidents etc– are incorporated into larger works and presented without hierarchy. Like a quilt, sourced from fabric of disparate origin and sentimentality, the final form democratizes, preserves and transcends. Cordy Ryman (NY) presents meticulously stacked wall sculptures made up of smaller, painted, wood blocks, often cannibalized from past site-specific installations. Dominic Terlizzi’s (Baltimore) elaborate paintings reveal a multitude of cast objects and sculptural practices at work in the surface of his images. Rachel Hayes (OK) is well-known for her gossamer fabric pieces that function as painting, sculpture and transformative installation. Her concentric geometries contain panels of varying opacity, catching the light and incorporating the space seen through the work. Sun You’s (NY) works are made up of a lexicon of smaller, concise, abstract forms, and like Terlizzi, blur the boundary between painting and sculpture within the rectangle. Christine Buckton Tillman (Baltimore) uses color to abstract and unify the array of natural objects that make up her sculpture. Tillman arranges these forms as specimens, examining collection and intervention as methods of making. 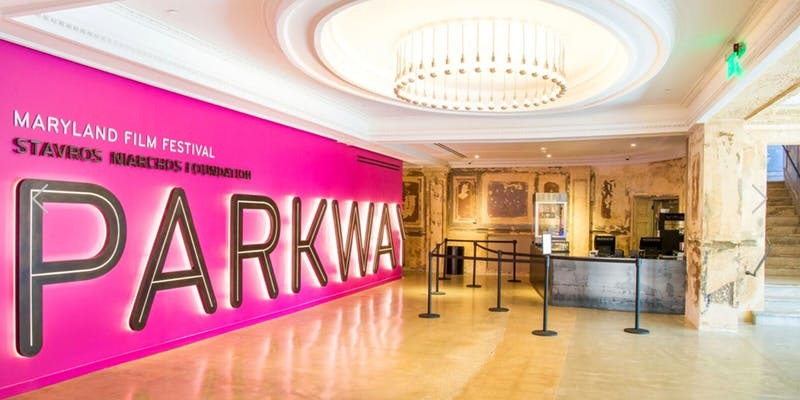 Referencing both textile craft and industrial production, Piece Work encourages viewers to consider the exhibited artworks both for their entirety and the intricacies of their parts. 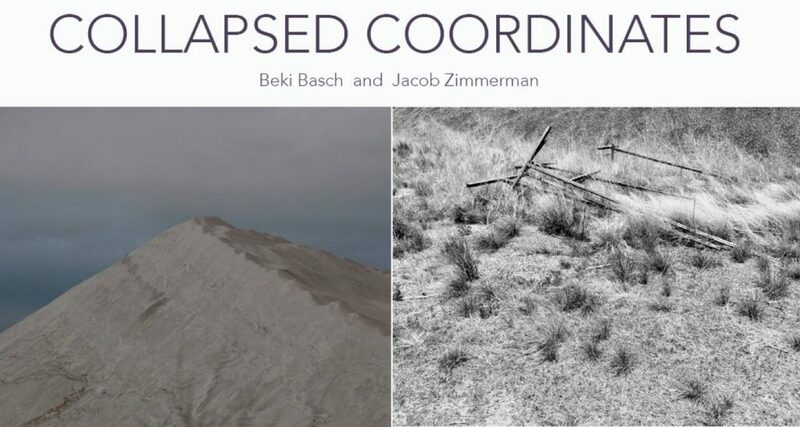 Collapsed Coordinates is a two-person exhibition, featuring photography and sculpture by Beki Basch (Baltimore, MD) and Jacob Zimmerman (Newark, DE). 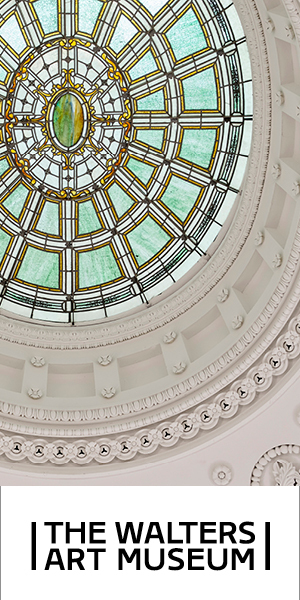 Basch and Zimmerman present their individual series of works as evidence of formal and imagined parallels gleaned through investigation, travel and a focused lens. Basch draws connections between Baltimore and Iceland, capturing synthetic landscape vignettes within the Baltimore area that align visually with those of the distant, northern country. Zimmerman charts a path across the United States, exploring meaning in a journey without specific destination. Revisiting the images captured and the forms explored – suddenly all distance is collapsed. 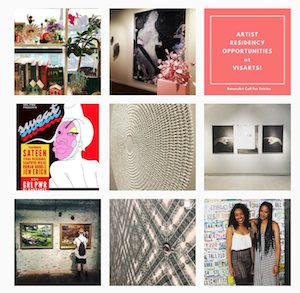 Each artist folds the intangible experience of the moment into tangible objects that attempt to describe them. 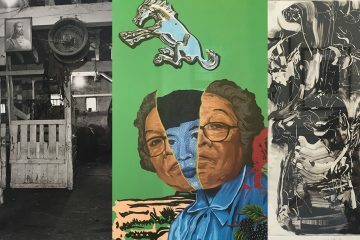 The exhibition will be open to the public during gallery hours from November 5th – December 20th 2018. Desire lines are made when people or animals forge a pathway that strays from the established route. 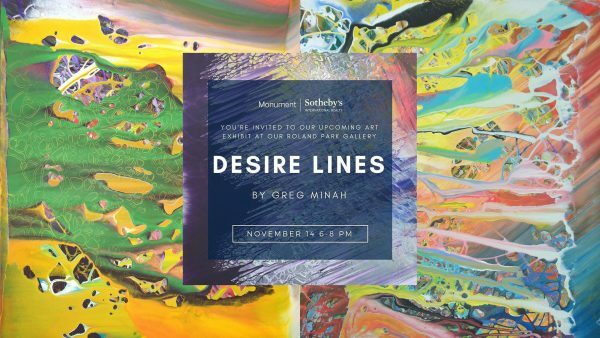 The paintings in Desire Lines: New Work by Greg Minah embody this idea and reflect the artist’s notions about what his work should do, or, more specifically, where it should go. 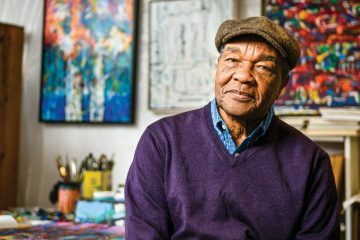 In the spring of 2018, Greg Minah returned to the same artist residency in Joshua Tree, California that led him to develop his unique process-based approach to painting 10 years earlier. Over the course of the last decade, this method of painting came to define Minah’s style and, at times, constrain him. 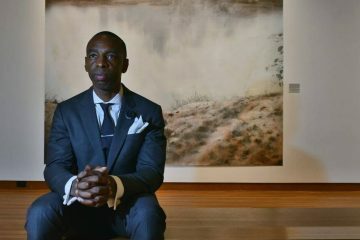 During his most recent stint in the Mojave Desert, Minah sought to embrace uncertainty and reconnect with risk. In these works, some of which were made at the residency in Joshua Tree and the rest at his Baltimore studio, Minah allows different approaches to freely interact on the canvas–craft and technique making room for instinct and curiosity. These paintings are the outcome of the artist becoming reacquainted with his intuition and trusting the art that results. 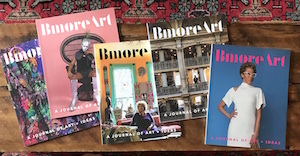 Explore the Romare Bearden: Visionary Artist exhibition with yoga and then create an inspired work of art on canvass chilling with a glass or wine or a smoothie. 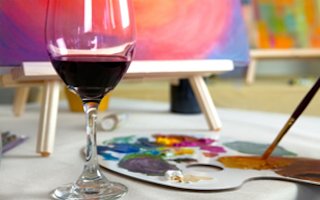 All supplies and one complimentary glass of wine are included. Presented by LW Arts & Design and Aura’s Alchemy. Get Your Life! 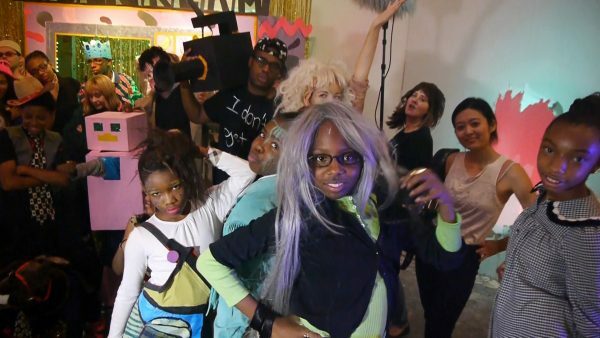 is a youth-led production company that creates collaborative video projects between middle school students, practicing artists, and institutions. 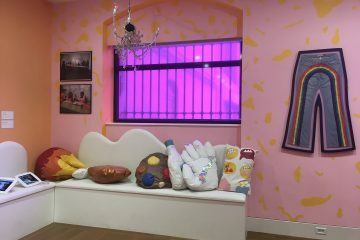 Emerging from an extended relationship between artist Lee Heinemann (b. 1993, American) and the Better Waverly community art center 901 Arts, GYL! puts adult artists to work producing projects written, designed, directed, and performed by youth. 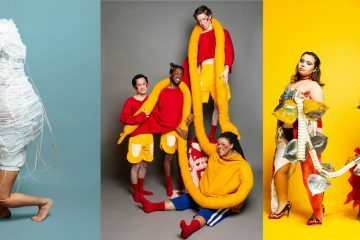 This exhibition gathers works from across GYL!’s practice, presenting video series, costumes, props, and documents created through the multi-year collaboration of a dedicated group of adult artists and young people. Get Your Life! 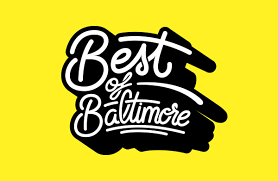 is: AJ, Amaya, Renee Anderson, Isaiah Benjamin, Jasmine Cannady, Karisma Daniels, Jaida Douglass, Darnell Feldman Jr., Maggie Fitzpatrick, Mark Fleuridor, La’Daya Galloway, Daja Haleem, Dalin Haleem, Lee Heinemann, Derrick Johnson, David Knott, Nia Knott, Ki’uwan Mason, Louquianna Mullen, Luz Orozco, Anais Perez, Anaijah Shaw, Desirae Street, Shania Street, Tanejah Shaw, Tahlia, Xavier Wade, Stephanie Wallace, and Zaccai. 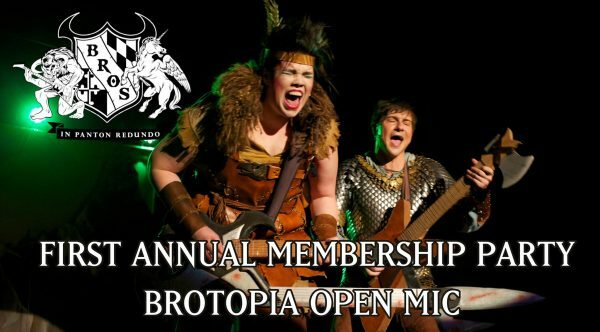 As a way to thank our Supporting Members, BROS is throwing our First Annual Membership Party, the Brotopia Open Mic hosted by Halvor from our first rock opera, Grundlehammer! All active BROS Supporting Members can present their golden membership card at the door to receive FREE admission to the party, one FREE drink, and automatic entry in a raffle for a chance to win two tantalizing prizes: a $50 gift certificate to re:gen and a tour and tasting for ten at Old Line Spirits! 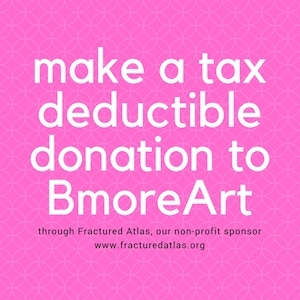 To become a member, visit baltimorerockopera.org/membership. Attendees will enjoy a variety of performances from BROS members and fans. Stay tuned to this page for announcements of participants and what will certainly be an amazing collection of talent! Finishing up the night will be a redhead-fueled ethereal folk performance by Gingerwitch! 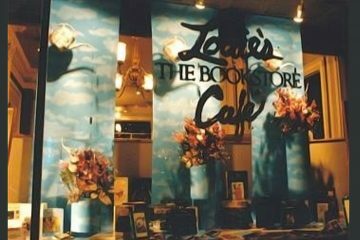 Would you like to participate in the Open Mic? Show off your new original song, puppet show, spoken word, comedy routine, or dance moves! Anybody can sign up for the open mic, but there are limited spots available. We are looking for unique acts that fit within a 7-minute time limit, can be set up and break down quickly, and are self-contained. To sign up for a time slot, visit: http://bit.ly/2PDSsld. Open mic sign-ups close November 7. 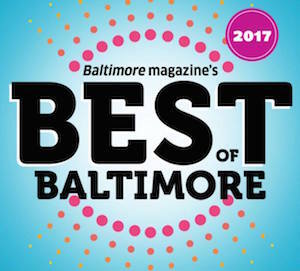 The Brotopia Open Mic is made possible by the Baltimore Rock Opera Society Membership Program. Thank you to our Volunteer, Rock Operative and Supporting Members who make our crazy shows possible. 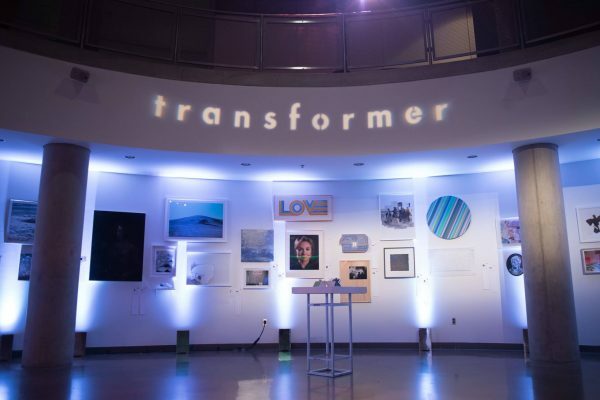 Transformer’s primary fundraising event, our Annual Silent Auction & Benefit Party is an extension of our non-profit organization’s overall cutting-edge aesthetic. 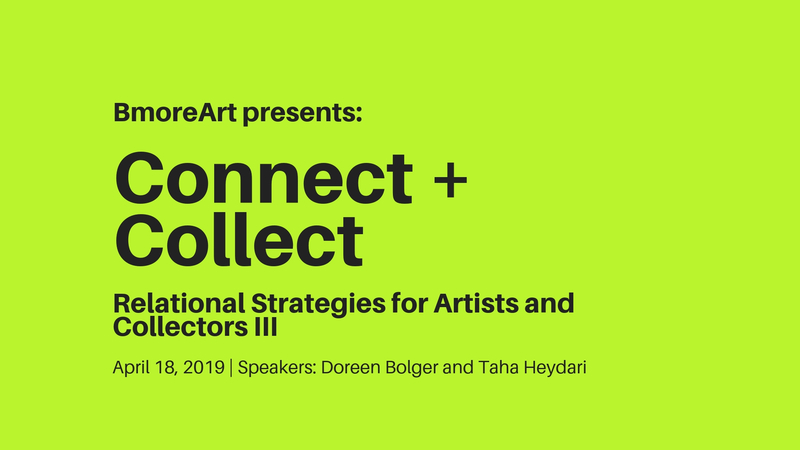 Regarded as the fall’s ‘not to be missed’ art event, Transformer’s Auction provides essential support for our year-round dynamic exhibitions and innovative educational programming. We are thrilled to present the 15th Annual Transformer Silent Auction & Benefit Party at the Corcoran School of the Arts & Design, and honored to have The Ambassador of GreeceMr. Haris Lalacos and Mrs. Anna Michalopoulou as our Diplomatic Chairs. 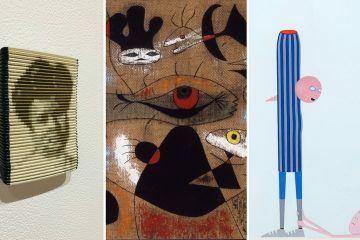 Transformer is excited to feature a special selection of contemporary artworks by emerging Greek artists in this year’s Auction, in tandem with 150+ DC emerging and more established artists. For more about the Transformer Host Committee & to join online please also visit, 2018transformerauction.eventbrite.com.